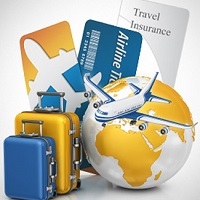 ANDAMAN BLUE SEA TRAVELS offers the most reliable Travel Insurance Services in Andaman & Nicobar Islands. The core team of ANDAMAN BLUE SEA TRAVELS consists of Insurance experts, which make sure that all your requirements are well-sufficed and given utmost importance in the entire process. Once you have given us the responsibility, get assured of a worry free vacation ahead. Along with this, we also ensure that the terms & conditions of the Insurance Plans are settled in a friendlier manner.